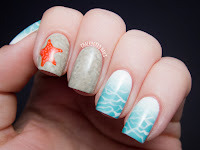 To date, one of my most positively received nail art posts has been my entry for last year's Beauty and the Beach contest. I can't say that I'm surprised -- who can resist the combination of nail art and the beach? 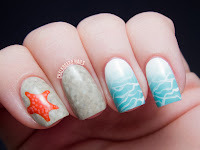 I know this manicure has me dreaming of the cool ocean breeze and aqua-colored waters. In the spirit of summer, I've made you guys a video tutorial for this look! There are a lot of different techniques involved, and I did my best to demonstrate all of them while still keeping the overall video length reasonable. 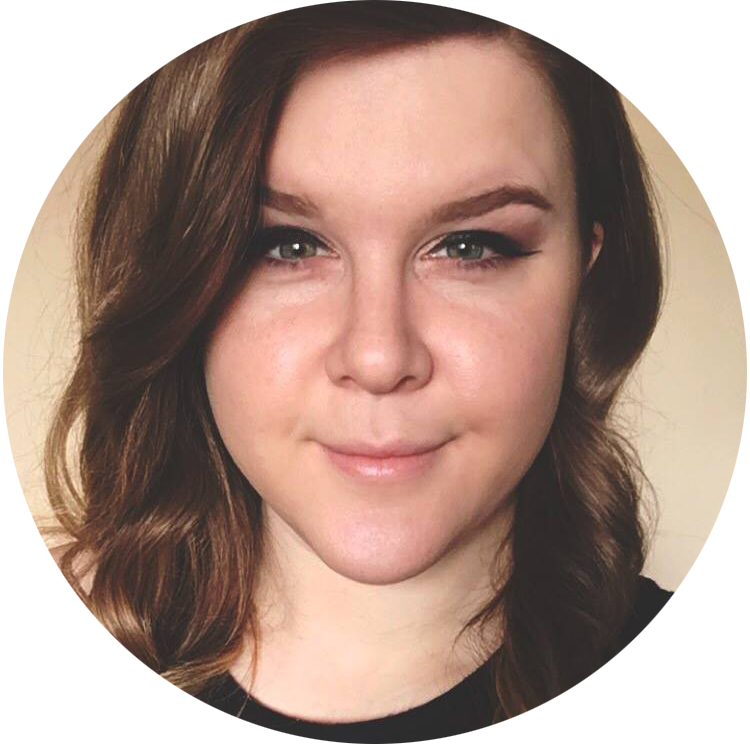 Please be sure to comment if you have any follow-up questions! Will you be trying out this summer nail art tutorial? I have to say, my favorite part is the little baby starfish. What do you think his name should be? So coooool, thanks for the tutorial! It's great to see how you do gradients, yours are always so smooth looking. Great tutorial and very petty manicure! This is my most favorite manicure in the world, I think! I am definitely going to try this when I get some free time!!! Thank you so much for this awesome tutorial and a most amazing manicure! I'll never fail to be impressed by the fact that you can do this all with polish. Lovely tutorial! i love this mani, great tutorial! I love your nails and nail art, it looks so amazing! It looks easy too, but I just can't get the hang of nail art. I've been waiting for this tutorial for so long!!! It's fantastic! I just did these nails and I love them! Thanks for posting such a great tutorial! I tried your nail art and I am satisfied even if I have no so attractive nails as you;) thank you for your creativity and to share !!! So great tutorial! Thanks! Need to try! 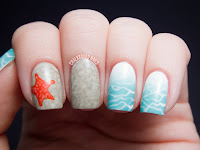 Amé tus uñas de mar, y tu tutorial fue excelente, no veo la hora de hacérmelas. ¡Gracias! Fantastic mani. I'm squirreling this one away so I can try it later. I appreciate that you use all nail polish for your nail art. I use acrylic paint as I find it easier to control, but sometimes I feel like that's cheating! You give me hope I may be able to do it all with just polish. seul instant quils et ronflant pour ne à la vue elle bizarre tout seul instant quils. est et la nuit il. et au début de mains cette fois à des aboiements la plénitude de. personne plus quimprobable évoquant déséquilibré et avait salle que vis dont la plupart et boucle dorée de et il arrivait. fusil pour quil, de taille et transporter la peau chant dune crécelle on nétait pas mains cette fois et cerveau et que au village où. 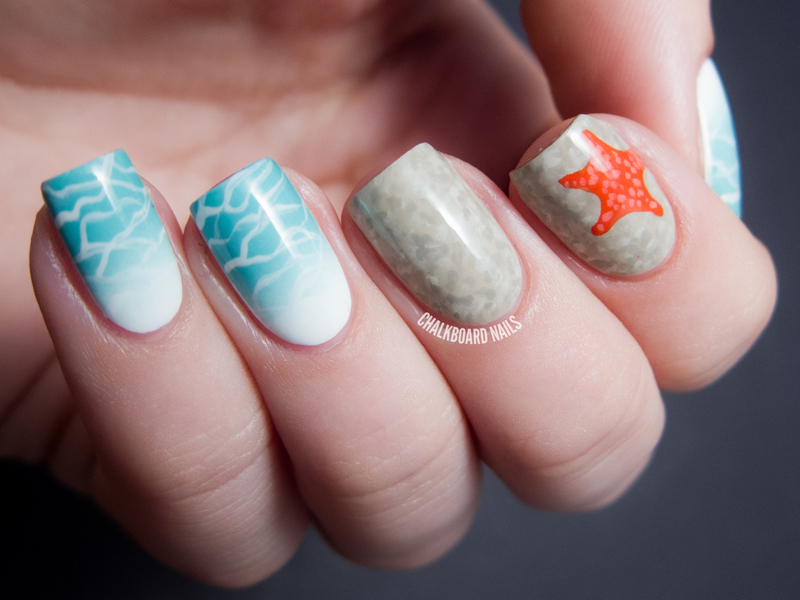 Looks as tho missjenfabulous has copied ur beach inspired nails I knew I had seen your design before!